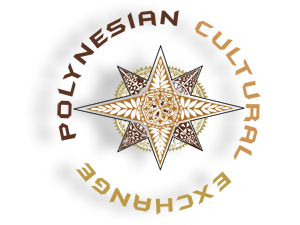 Kali and his Polynesian family and friends in California were in need for a special identity for their cultural association. In fact, Kali had a piece of traditional bark tapestry called "Ngatu" which his Tongan grand-mother made for him. Kali wanted to use the piece of ngatu as the base of the logo. Name structure : Classic descriptive name construction. As the original Ngatu patterns are way too intricate for a logo, we extracted the core of the design. The star shape has four branches and four sub-branches. 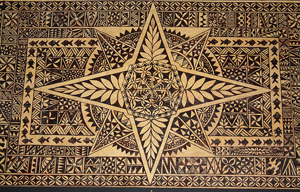 It represents the compass rose, with the main winds the seafaring Polynesians used in ancient times. Font - The team wanted to give a modern twist to the logo to represent the younger generations and encourage intergenerational exchange among Polynesians. A brilliant businessman, our client wanted to give his new company a Marquesan identity. He has a passion for hunting and loves his valleys of the Marquesas islands, where wild boars and goats can be found. The entrepreneur called upon Huri Translations to build his entire brand identity. 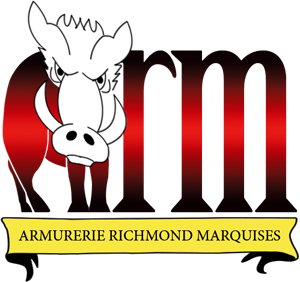 The acronym ARM stands for Armurerie Richmond Marquises, which astutely forms the word ARM. Our client made the point of representing the Marquesas islands by using the red, yellow and black colors that make up the Marquesan flag. The boar - Letter A is shaped into a boar to conjure up boar hunting. The reddish color announces game tracking and blood. The banner represents a trophy. The metallic colors suggest gun metal. Long font feet remind of rifle barrels. On the biggest Internet social network, we met our client Mayra from Mexico. She loves Tahitian dance and decided to create a Tahitian dance group of her own. She wanted a creative approach in the branding of her company. 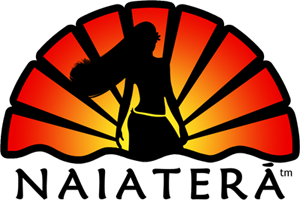 Mayra had in mind broad ideas like "sweet dawn" or "rising sun" for her company brand name while she sought for a logo set in a very Polynesian theme with representations of the elements of Nature.